It’s no surprise that millennial women are stressed, but what is surprising is how they are responding to it. According to a new survey by Secret, millennial women have high levels of stress an average of four days a week for five and a half hours each day, but an inspirational 74% say they would rather face stress than settle. It seems millennial women are choosing to pursue their personal and professional goals, even if it means being more stressed on a regular basis. Girls actress Zosia Mamet can certainly attest to this: She recently stated in a Facebook Live video hosted by Secret that she deals with high stress levels every day, admitting that she even gets stressed when she’s on vacation (so true!). The survey and video were created as a part of Secret’s new Stress Tested for Women campaign, which is trying to create an honest conversation about millennial women and stress. Gypsy Warrior co-founder Nicla DiCosmo, professional softball player Monica Abbott, and Intern Queen founder Lauren Berger were also featured in the video, which you can watch in a condensed version below (or check out the full Facebook Live chat here). One more takeaway from the Secret survey? Sixty percent of millennial women sweat when stressed, and 74% say this makes them even more stressed. But you can apply Secret clinical-strength deodorant at bedtime to reduce stress-induced sweat the entire next day, even if you shower in the morning. 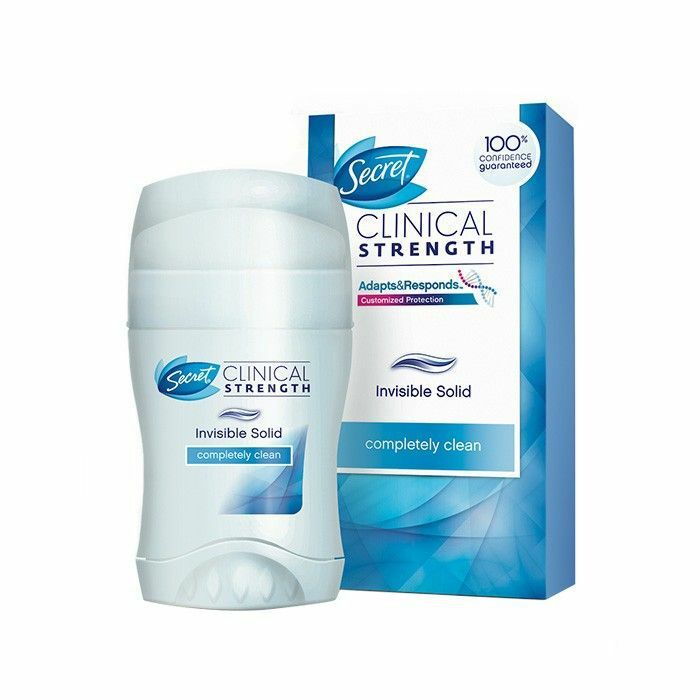 Stop the vicious cycle by shopping clinical-strength deodorant below. How do you face stress in your own life? Tell us in the comments below.